Warburg Pincus is investing up to $100 million (Rs 645 crore) in Mumbai-based rooftop solar projects developer CleanMax Enviro Energy Solutions Pvt. Ltd, as the private equity giant stretches its dealmaking spree in India. The investment in CleanMax is the seventh transaction for the PE firm in India within 12 months and takes the total amount it has committed in these companies to $1.14 billion, according to VCCEdge, the data research arm of VCCircle. CleanMax is also possibly the first renewable energy company that Warburg Pincus has backed in India since it entered the country two decades ago, VCCEdge data show. Kuldeep Jain, the solar project developer’s founder and managing director, said in a statement on Thursday CleanMax aims to use the funds to expand in India and pursue growth opportunities in the Middle East and Southeast Asia. Jain was previously a consultant with McKinsey & Co and headed its energy and corporate finance practice in India. He held a 79% stake in the company as on 31 March 2016, according to VCCEdge. CleanMax was set up in 2010. The next year, global multi-stage investment firm Bessemer Venture Partners had invested in the company for a 6.37% stake. It exited the company within three years by selling the stake to promoters. In 2015, the company received $2.58 million as seed investment from a clutch of investors. Earlier this year, International Finance Corporation said it planned to invest $15 million in CleanMax. According to the company’s website, it has more than 45 MW of installed and onsite projects. It caters predominantly to corporate customers across automotive, food and beverage, IT and other industries. As of March 2017, India had open access solar capacity of 1,541 MW, says a report by renewable energy consultant Bridge to India. CleanMax has a 3% share in the total capacity and is among the top 10 developers. CleanMax registered earnings before interest, tax and amortization of Rs15.5 crore on total income of Rs 127.3 crore in 2015-16. The private equity firm, which has $44 billion in assets under management, invests globally in businesses at all stages of development with a focus on five key sectors: energy, financial services, healthcare and consumer, industrial and business services, and technology, media and telecommunications. The firm’s recent India deals include last month’s purchase of a 43% stake in Tata Technologies Ltd for $360 million in its biggest bet on a local company. This year, it has also invested $283 million in ICICI Lombard General Insurance, $77 million in Kalyan Jewellers India Ltd and about $120 million in multiplex chain PVR Ltd. Last year, it invested a total of $200 million in logistics companies Rivigo Services Pvt. Ltd and Stellar Value Chain Solutions Pvt. Ltd.
Apart from these investments, the PE firm also committed $300 million to Princeton Growth Ventures, started by former Tata Communications Ltd executive Rangu Salgame. The new platform seeks to acquire assets in the telecommunications, media and technology infrastructure sector in India and other countries. Warburg’s bet on CleanMax is the latest deal in a sector that has seen a lot of activity over the past couple of years after the government set ambitious renewable energy capacity-addition targets. 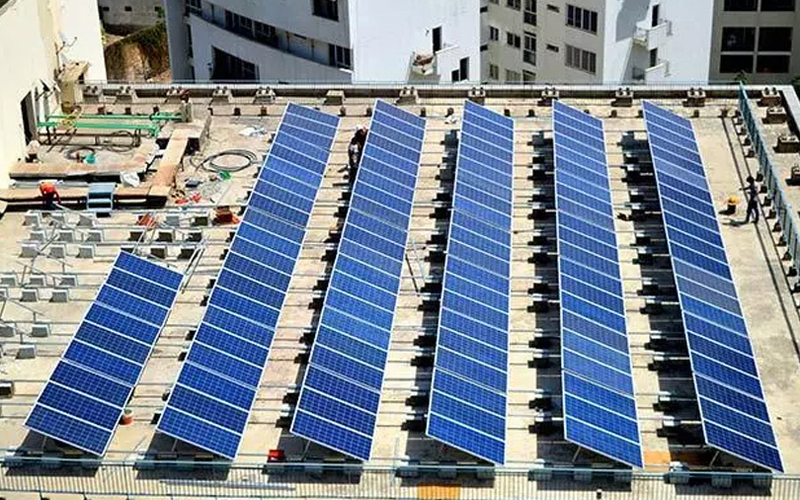 The government aims to achieve 175 gigawatt of renewable power generation capacity by 2022.
International Finance Corporation, the World Bank’s private-sector investment arm, has emerged as a large investor in the sector. Last year, it invested $125 million in Hero Future Energies. IFC has also invested in Azure Power and provided debt funding to Actis-backed Ostro Energy.